While employment rates are steadily rising as the U.S. recovers from the recession, employment prospects are not. Though unemployment has dropped below 4% for the first time since 2000, employment prospects for recent college graduates (graduates who have been out of school for five years at most) are not improving at the same rate as the rest of the country, having only decreased by 0.1% since 2017. This rate is far behind that of experienced worker groups like professional and business services, whose employment rate has increased by 2.5%. In addition, many graduates who are able to secure a job are finding that their positions are not necessarily appropriate for their educational backgrounds—roughly 44% of recent graduates and one in three total college graduates (34%) are underemployed in jobs that do not require a college degree. Certificates are the fastest-growing form of college credentials, making up 22% of all college awards. As more jobs require college-based training, many previous students are returning to college to earn credentials throughout their careers, with a third of certificates earned by students over the age of 30. With certificate holders earning 20% more than workers who only hold a high school diploma, certificates are valuable ways for students to bolster skills or learn new ones to distinguish themselves in the job market. Many graduates experience a skills gap between what they learned in college and the skills they need to succeed in their careers. In a survey conducted by PayScale, 44% of employers said that new graduates are most lacking in writing proficiency, while 36% cite a gap in data analysis skills, including proficiency in programs like Excel, Tableau, and Python. These skills are critical for students working in technical fields like engineers and computer scientists, but careers centered on liberal arts increasingly demand computer proficiency and working knowledge of writing and analytical software. 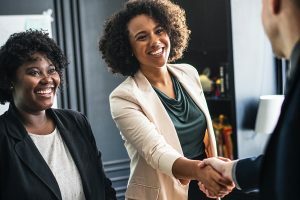 While developing hard skills is essential for students to compete in the job market,employers are even more united in the opinion that recent graduates lack necessary soft skills. 60% of managers claim that new hires do not have the critical thinking and problem-solving skills necessary for their roles, while 56% also cite a lack of attention to detail, 46% report inferior communication skills, and 36% note subpar interpersonal and teamwork skills. See more tips about how your institution can help prepare its graduates for the job market: Download the How to Build Graduates Employers Want to Hire infographic.